Stewardship is a lot like breathing. There is a life-giving cycle--a pattern of give and take that keeps us alive. Receiving without finding opportunities to share is akin to inhaling without ever exhaling. Likewise, if we give and give without finding ways to receive and be renewed by God's blessings, it is like exhaling without adequate breath to replenish our need for oxygen. Given the importance, it is surprising to note that most U.S. pastors develop their understanding of stewardship either on their own, by attending conferences and workshops, purchasing a stewardship program, or doing extra-curricular reading. Absent any universally accepted system for stewardship on the congregational level, it's no wonder that most pastors report that they are uncomfortable talking about it. 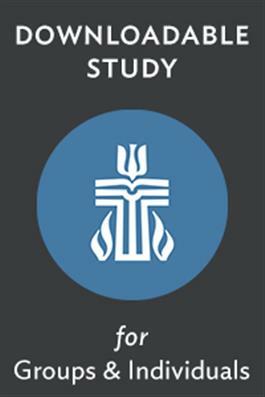 This study is geared toward these pastors who have difficulty discussing stewardship with their congregation. Since this relies on the creation of a personal way of speaking on the topic of stewardship, no Leader's Guide is provided for this study.